Are you planning on buying a new family car? Want one that will be economical and not expensive to buy? The segment is wider and more varied than ever, with a greater flow of technology and efficiency available, but finding the correct family-friendly motor for your specific needs can still be tricky. Especially if you’re on a strict budget. To help, we’ve picked our favourite petrol cars that cost less than £25,000, promise more than 50mpg, are suitable for four or five occupants and should prove an enduring purchase for many years to come. With a seven-seat MPV, executive saloon, family hatchback, load-lugging estate car and even a convertible on offer, there really is a car for everyone. 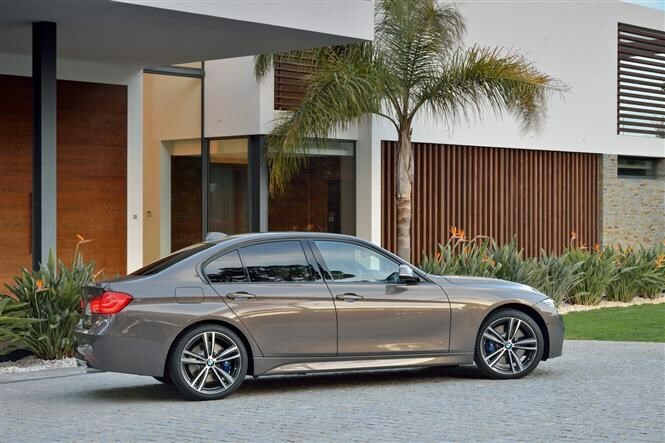 Recently revised earlier in 2015, the BMW 3 Series is better than ever and ready to take on the new Audi A4 and Jaguar XE in the hotly-contested compact executive class. Chief amongst the revisions was the inclusion of the firm’s new three-cylinder turbocharged 1.5-litre petrol engine, which is smooth, refined and typically for a powerplant of this type, punches above its weight. This particular 3 Series feels sharp to drive, thanks to the lightweight engine block, though with just 134bhp and a 9.1 second 0-62mph time it’s far from the fastest in the range. At least it’ll achieve 52.3mpg, and emits just 124g/km CO2 – so at time of writing annual VED car tax is just £110. The 480-litre boot will come in handy too. If you have a family, especially one that’s growing, there’s one thing you’ll appreciate more than anything else – and that’s a huge boot. 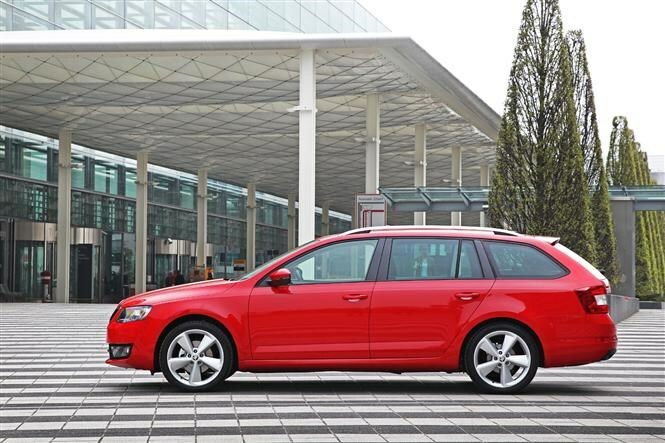 There’s few family cars at any pricepoint that can match the Skoda Octavia estate for space with 610 litres available. Fold the backrests down and that increases to a van-like 1,740 litres. With a £25,000 budget you can find yourself behind the wheel of a generously-equipped SE L model complete with the excellent 1.4-litre turbocharged petrol engine with 148bhp. Performance is taken care of by an 8.1 second 0-62mph time, while the efficiency headlines include 55.4mpg fuel economy and 119g/km CO2 output. 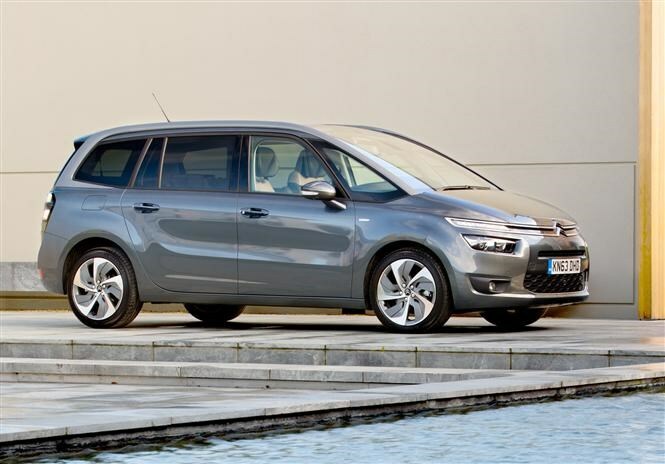 Family man Keith loved his Citroen Grand C4 Picasso when he ran it on our long-term fleet earlier in 2015, and it seems – from the sheer number spotted on the roads – that you, the buying public, are just as taken with the practical people carrier. With seven seats, ingenious design (inside and out) and a comfortable ride, it’s an appealing MPV. Made more so by the fitment of the firm’s excellent 1.2-litre Puretech petrol engine. Sure three-cylinders may sound a little under-endowed for a car of such grand stature, but there’s 129bhp on offer, which allows the seven-seater to sprint from 0-62mph in just 10.8 seconds. 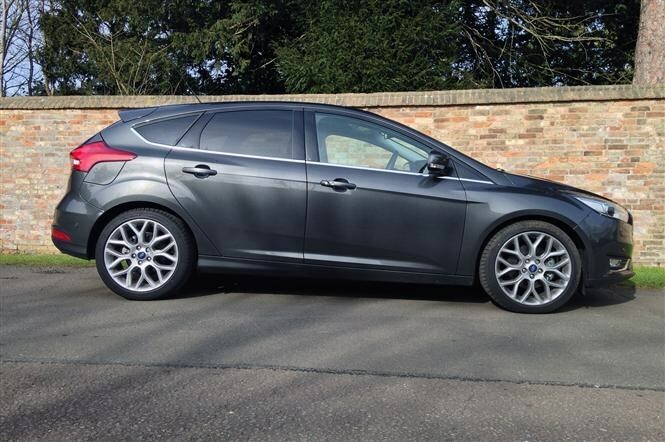 Whats more it promises to return up to 55.4mpg and emits just 118g/km of CO2 too. No family-car wish list would be complete without a Ford Focus featuring, and so that tradition continues here. The great news is your £25,000 budget nest you a range-topping Titanium X with sat-nav and extra money left over to spend on that Christmas turkey. And with a claimed combined fuel economy of over 60mpg the savings will continue into 2016 too. Again a three-cylinder turbocharged petrol engine is fitted under the bonnet, this time 1-litres in capacity and producing 123bhp. It beats the Citroen from 0-62mph by two tenths of a second, and save for the 3 Series is the most fun car to drive of all on this list. With CO2 emissions of just 108g/km the savings continue too, with annual VED car tax of just £20. Just because you’ve started a family doesn’t mean you can’t still have fun, and though it’s winter now, summer is just round the corner (honest). 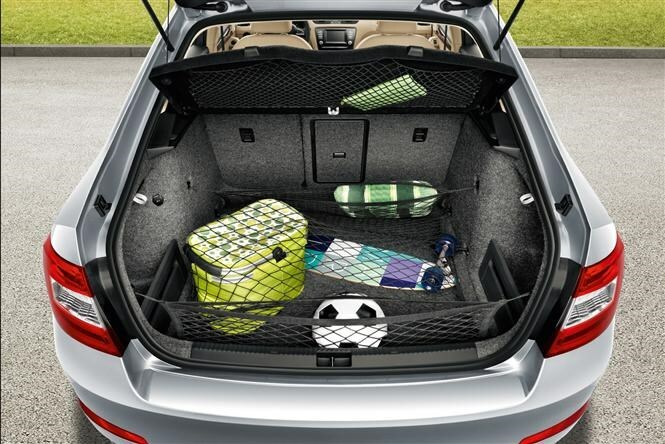 It’s only a four-seater, but the Audi A3 Cabriolet can genuinely accommodate full-size adults, and with the roof in place the boot can carry up to 320 litres of family paraphernalia. Lower the electrically-operated canvas hood and that drops to a still-usable 287 litres. It’s fitted with the firm’s clever 1.4-litre CoD engine too, which shuts down a pair of cylinders under light loads to save fuel – the result being a claimed 55.4mpg combined economy figure. 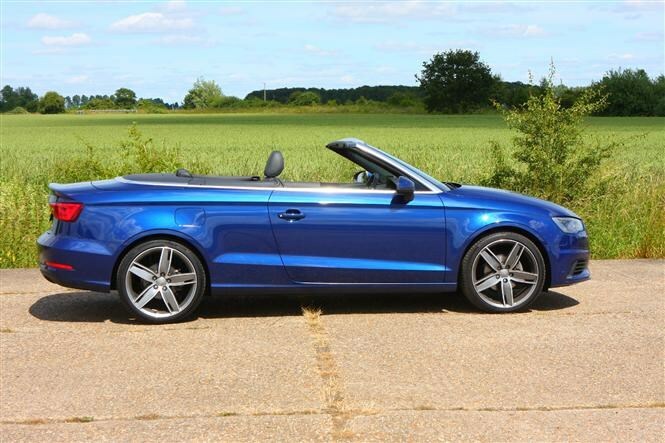 The only downside to the Audi is you’ll have to stretch your budget slightly, by £700 for the SE model – it might be near Christmas, but you can’t have everything.